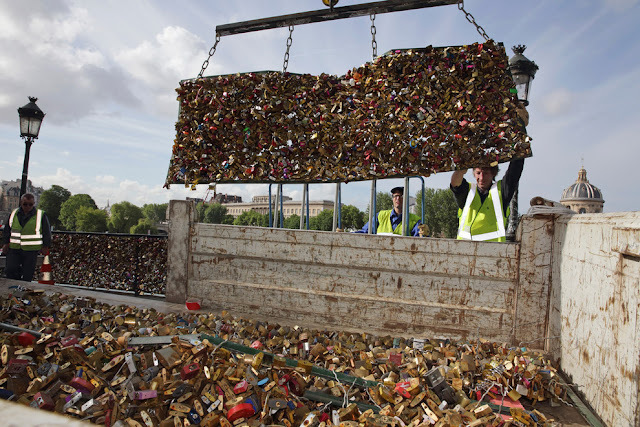 Up to 1 million locks – together thought to weigh up to 45 tonnes – were taken off the Pont des Arts on Monday. For Years, Couples Have Been Leaving Padlocks On The Pont Des Arts In Paris As A Lasting Token Of Their Love For One Another. Dominika and Bartek Mieczkowski, a married couple from Poland, on the Pont des Arts on 31 May. But By This Year There Were So Many Locks On The Bridge – Between 700,000 And 1 Million – That Officials Warned That Their Sheer Weight Had Become A Problem. The locks were thought to have added some 45 tonnes of extra weight to the bridge, which was shut temporarily in June 2014 after part of a railing collapsed. So On Monday, Workmen Arrived From The City’s Council Armed With Boltcutters To Remove The Metal Grilles Entirely. The bridge will be shut until 8 June while the locks are removed. 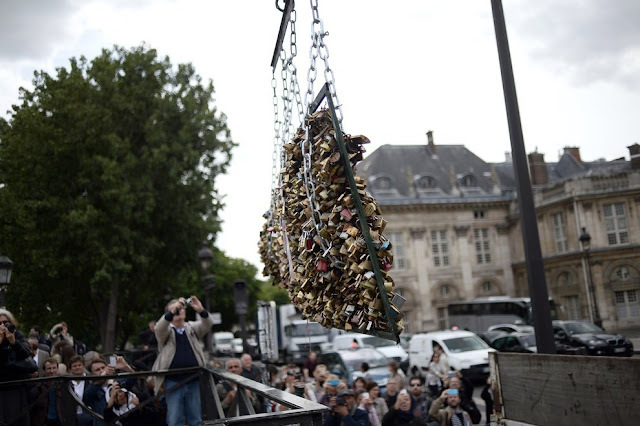 More than 10,000 people had signed a petition calling for “love locks” to be banned. 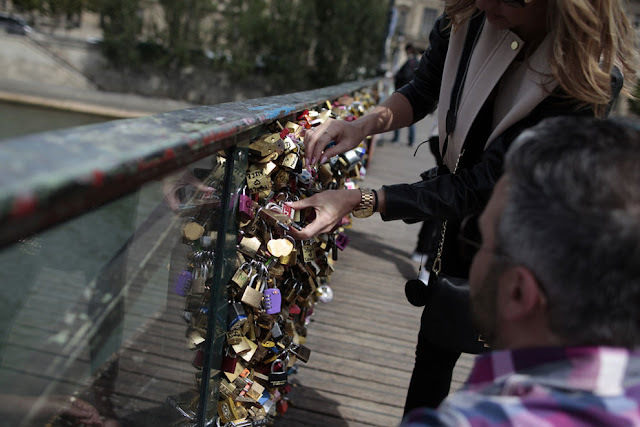 The Tradition Is Thought To Have Started In 2008, When Couples, Mainly Tourists, Started Attaching Locks With Their Names Written On To The Bridge Before Throwing The Keys Into The Seine. The Metal Grilles Will Be Replaced With Street Art For The Time Being, Before A Form Of Glass Designed To Be Padlock-Proof Is Installed. Undeterred, Tourists Were Today Leaving “Love Locks” On The Nearby Solférino Bridge Instead. 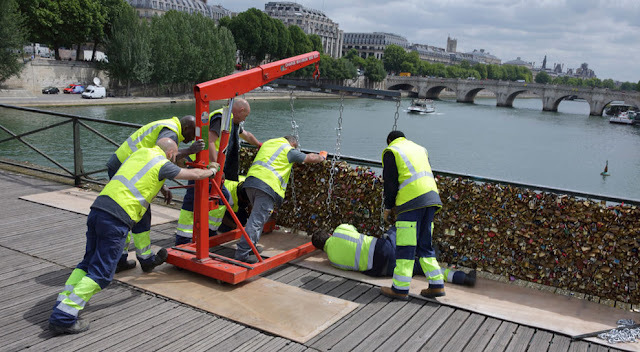 But Paris city chiefs have warned that similar measures will be brought in to protect other bridges if the spread of locks continues elsewhere. As for the locks, what Paris’s leaders plan to do with them all is unclear.